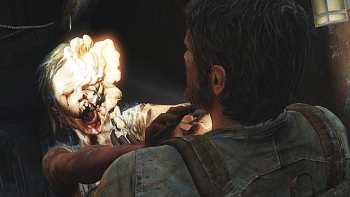 The Last of Us' PS4 HD remaster was a lot more work than Naughty Dog anticipated. "I wish we had a button that was like 'Turn On PS4 Mode', but no," The Last of Us creative director Neil Druckmann told Edge Online. "We expected it to be Hell, and it was Hell. Just getting an image onscreen, even an inferior one with the shadows broken, lighting broken and with it crashing every 30 seconds... that took a long time." But, in the end Druckmann says the effort has been well worth it, as the difference between the two versions of the game is night and day. "[It is] akin to looking at a DVD versus Blu-ray," claims Druckmann. The Last of Us PS4 version will use the PS3 version's high-definition cutsene models as the in-game player models, and while Druckmann says that the subtler details will be wasted when the camera sits so far from players, every detail counts at 1080p. "Star Wars comes to mind. I'm more of a fan of the original cut and Han Solo shooting first. As for fans who are worried the team will take this opportunity to make edits to the game, Druckmann says that The Last of Us' PS4 version will be an untouched port. "We have a really hard time playing the game, because we constantly see things and think, 'Oh, man, I could've done that better, I could've written that better, that animation pop over there, that transition...' but once you start going down that road, where do you stop? At what point are you making the experience just different or worse?" Druckmann also says the team is having a hard time highlighting the differences between the two games through traditional advertising methods. "We have the game running in 1080p at 60fps, and YouTube brings it down to 30fps and does a compression on it, and it's hard to tell the difference." In the end, he says that this will absolutely be the definitive version of the game, as although "It's not a totally brand-new experience ... [it] is much closer to how the director and the team initially saw it."